The Old Red Sandstones of Svalbard overlie a variety of folded, thrust and more or less metamorphosed successions of Early Palaeozoic and Late Proterozoic age. Some older rocks have been indicated locally by isotopic age-determination methods. 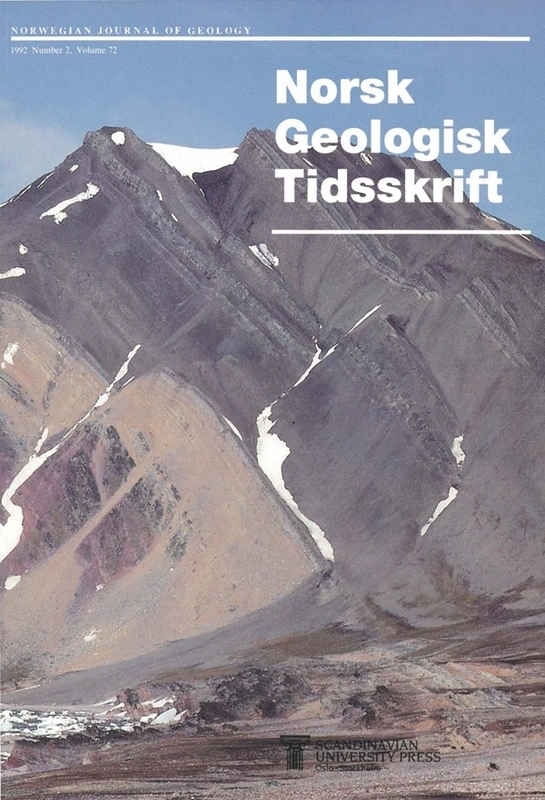 In Ny Friesland, northeastern Spitsbergen, the younger sedimentary rocks of the Hecla Hoek Complex closely resemble strata of similar age (ca. 800-470 Ma) in East Greenland. They pass downwards, apparently concordantly (though contacts are reported to be faulted in some areas), into metasedimentary rocks which increase in metamorphic grade with depth; the latter, in their lower parts (Harkerbreen and Finnlandsveggen Groups of the Atomfjella Complex) include a variety of granitic gneisses. Zircons from a granite and gneissic granite of the Harkerbreen Group have been analysed by the U-Pb and 207Pb/206Pb single crystal methods and have yielded ages of ca. 1700-1800 Ma. One of these granites intrudes metasediments, indicating an Early Proterozoic age for at least part of the Harkerbreen Group. These ages imply that significant segments of pre-Caledonian crystalline basement are incorporated in the base of the Caledonian pile in northeastern Spitsbergen. They enhance comparisons of this terrane with East Greenland and contrast markedly with recent results from northwestern Spitsbergen, where Grenvillian intrusion and latest Proterozoic high PfT tectonothermal activity have been identified. These fundamental differences in the character of the pre-Devonian rocks on Svalbard indicate that terrane accretion may have involved displacements of many hundreds if not thousands of kilometres. Sergej A. Abakumov, Alexander A. Krasil'š?ikov & Alexander Tebenkov, Sevmorgeologija, Mojka 120, SU-190121 St Petersburg, Russia.